Adriana,s Insurance is an insurance service providing organization in California. The company has been licensed by California state insurance authority. At present, the organization is operating more than 50 individual offices in the state of South California. Record says that the company is offering insurance services from last 20 years. Insurances services offered by the company include home insurance, auto insurance, health and commercial vehicle insurance and general life insurance services. More than 45 companies in S. California are now availing insurance services from this corporation. 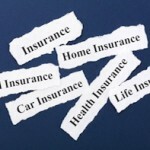 The professionals here specialize in providing low cost insurance services to both commercial and individual clients. There are currently 0 consumer reviews about Adriana's Insurance Services available. Share your review. Please take a note that you are about to post a public review about Adriana's Insurance Services corporate office on CorporateOffice.com. This review will be public, so please do not post any of your personal information on this website. If you would like to contact the corporate offices of Adriana's Insurance Services, please use their contact information such as their phone number, website, and address listed above to contact them. However, sometimes staff from Adriana's Insurance Services headquarters do read the reviews on this website.